Its astringent properties also make it a useful medicinal herb - an infusion of sage can be used for gargling when you have a sore throat and if you have a cold, a few leaves in a muslim cloth when you lie in the bath, can help clear your head. 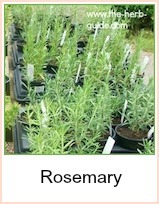 Broad Leaved English Sage is the best for culinary use, but it cannot be grown from seed. Buy a plant and in its second year, take some cuttings - just tear gently so that you have a 'heel'. Pop these cuttings into rooting powder and then into a pot - leave to establish. Although sage is a perennial, has a tendency to die off after three years or so - if you take cuttings, then you will always have plants growing. 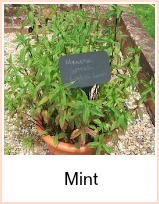 There are other sage herb types - golden, red and narrow leaved, but my preference, if you only have room for one, is the broad leaved sage herb. Drying Sage In my opinion, it is not really necessary to dry sage - the plant is evergreen and you can pick leaves any time you like. However, if you wish to do so, then take leaves from the second year plants and dry in a low temperature - a single layer in the airing cupboard for instance. They have a long drying period as the leaves are rather fleshy - that means they will probably discolour - like I say, it's not really worth it - but it is such a useful herb, that on the occasions I haven't got a plant in my garden I ALWAYS have a large tub of dried sage - bought from a busy shop with a quick turnover. 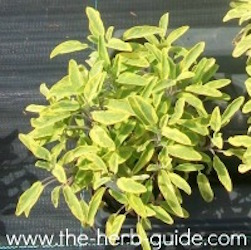 Sage Oil - take some olive oil and a handful of sage leaves. Leave it for at least three weeks and the sage will have infused its flavour into the oil. You can use this oil for frying oily fish - the astringency makes the fish more digestible - also use it as oil in your preliminary frying for a chowder - and of course croutons to go with your soup -fry cubes of bread in the oil until nicely browned. Sage Butter - chop a few leaves of sage and mix into some butter. Use this on plain grilled or baked oily fish. A few fresh sage leaves can be added to your water when boiling fish or you could skewer a few leaves in between cubes of fish when barbecueing. The sage herb is traditionally used to wrap round eel steaks - go here for an eel recipe using sage, red wine and bacon mmm.... If you don't fancy eel, then you can use other fish of your choice. I love to use sage in a stuffing - take a couple of slices of white bread and whizz up in a blender or food processor - add half a dozen sage leaves and then turn this into a bowl containing a finely diced onion. 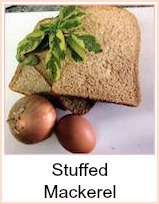 Bind together with a whole egg and either mould it into balls to cook in the oven or use to stuff whole fish.